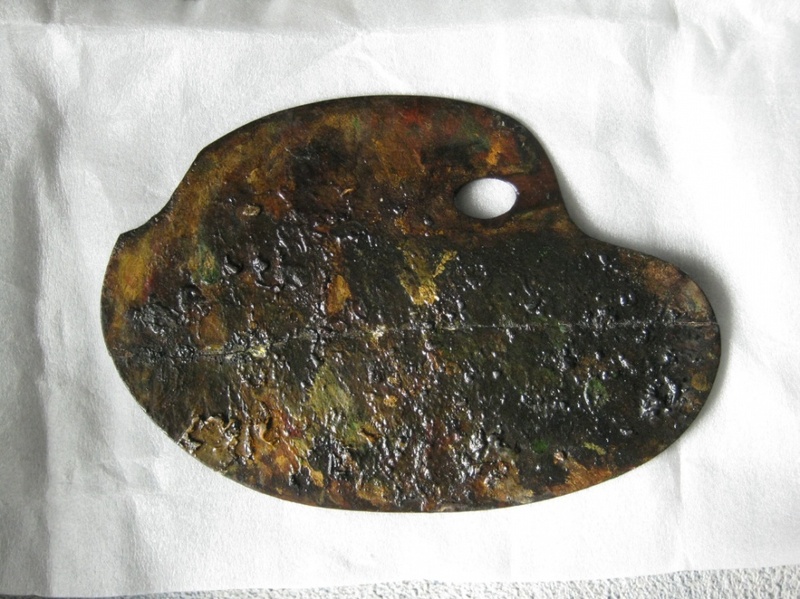 Everyone at the Museum is celebrating the purchase at auction of an antique artist’s palette which belonged to St Agnes painter Edward Opie RA (1810-1894) and which, it seems likely, also belonged to Edward’s Great Uncle, John, “The Cornish Wonder”. 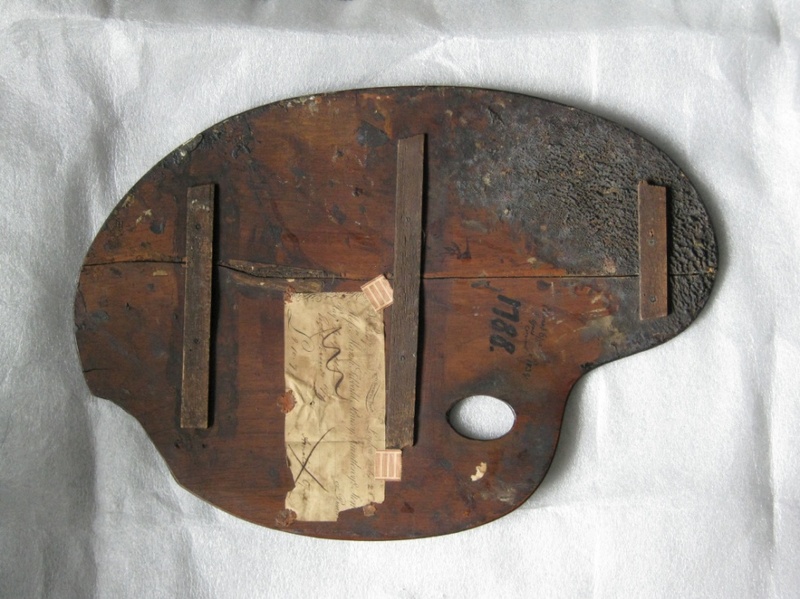 Spotted in an up-country auction catalogue by an eagle-eyed Museum member, the palette, described as “an antique artist’s palette, signed to back Edward Opie, St Agnes, Cornwall, 1839, also dated 1788 in black paint with cheque signed Amelia Opie for £8 on the back, Messrs Marsh, Sibbald, Tracey, Fauntleroy & Son” was bought for the Museum with a telephone bid against fierce competition. 1839 saw a major milestone in Edward’s life as he exhibited at the Royal Academy for the first time, but the palette is also dated 1788, in which case it could have first been owned by John Opie. Did Amelia, John’s widow, give it to Edward to mark his first Royal Academy success? It should be possible for paint analysis of the heavily encrusted palette to date it definitely. In the meantime the palette is the latest acquisition on display at the Museum, alongside two Edward Opie paintings, a John Opie self-portrait and his presentation paintbox.